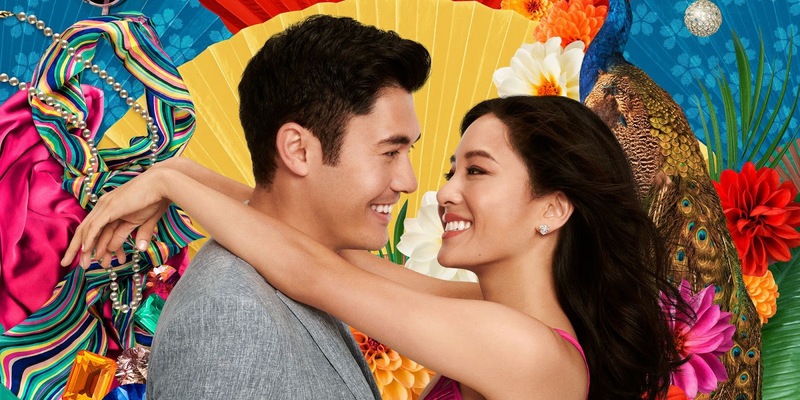 Based on Kevin Kwan’s novel of the same name “Crazy Rich Asians” follows Chinese-American Rachel Chu (Constance Wu) as she embarks on a trip to Singapore to meet her boyfriend, Nick Young’s (Henry Golding) family for the first time. Dating for more than a year now, Rachel has no idea what her summer escapade to the East will bring given that she barely has any idea about how wealthy the Young family is. Sure enough, after a great first night in the country, she finds herself at the center of the loud and sometimes obnoxious Singapore social scene, with her future mother-in-law, Eleanor Young (Michelle Yeoh) silently judging her from afar. Directed by “Now You See Me 2” and “Step Up 2: The Streets” helmer, Jon M Chu, it makes sense that “Crazy Rich Asians” boasts impressive production set pieces, not to mention several well-filmed montages. At one point, the film looked like it could be very well be a travel ad for Singapore. But more than the sweeping shots, it’s the finer details that really elevated the film’s quality. For instance, while the flick featured several American songs like Madonna’s “Material Girl” and Coldplay’s “Yellow,” the filmmakers had them performed in Chinese, which both caters to Western and Eastern audiences. Obviously, “Crazy Rich Asians” is and foremost a love story. Wu and Golding easily sold Rachel and Nick’s love story thanks to the two’s unforced chemistry, and Yeoh perfectly played the scary mother-in-law reminiscent of Dao Ming Si’s mother in “Meteor Garden.” That sets up a fail-proof premise that almost everybody loves to see in films and TV series. But it’s safe to say that the Awkwafina was definitely the film’s standout. Playing Rachel’s college friend Peik Lin, every scene with her and her adorable family, especially Ken Jeong’s Goh Wye Mun, was a delight on the big screen. Amidst all the romance, laughter and glamor that “Crazy Rich Asians” offered was Rachel’s identity crisis, not because of the plot twist with regard to her biological parents, but because of where she was brought up - something that may strike a nerve to a lot of children of migrants. In the United States, Rachel is deemed Chinese by the majority, but when she reconnects with her roots (by way of meeting Nick’s family), she’s distinctly American to them; not Chinese enough, so she’s left out of place, twice. Highlighting this issue other than focusing on the vast economic class difference between Nick and Rachel is a fresh way of spinning a beaten rom-com trope sensibly that it tackles a bigger issue that a lot more people can relate to. While not many find themselves up against a snooty future mother-in-law, a significant amount of people feel out of place at one point in their lives. This is perhaps the movie’s biggest win as it resonated with the audience, proving that race issues isn’t only rooted on skin color. In a Hollywood era where superhero and franchises dominate the game, it’s been a while since a straight rom-com made this much impact, and it doesn’t hurt that in the process of bringing the genre back at the forefront of movie-making business, it also progressed diversification in the industry. While Filipinos have been treated with several love stories on the big screen every year, thanks to an abundance of love teams that have loyal fan bases, “Crazy Rich Asians” highlights the worlds’ clamoring for a good old cathartic romantic narrative. Honestly, it’s difficult to find anything to nitpick considering how charming the movie was. Thankfully, a sequel is already on the way with the original cast and crew members. Those who have read Kwan’s books know that aside from Nick and Rachel’s story, Astrid’s (Gemma Chan) love life is getting a huge turning point, clue lies in the post-credit scene of the film so make sure not to miss it. PS. Of course it’s also worth noting Kris Aquino’s short but significant part in the film. While she wasn’t really able to flex her acting muscles, she played the role of Princess Intan really well.